Where January was super slow, I feel like every month since has just been passing faster each time. I wish I had some really exciting tales to tell, but it’s pretty much all same old same old for me. I would love for you to like it (or even comment) on my instagram here, because even though the number of likes and such doesn’t count towards you getting the role, it shows the people who host the contest how invested I am and maybe gives me a slight advantage? Even if I don’t win, some of the runner ups get the first season on DVD and I’d love that as well. I have been overwhelmed with love for this community during the past month because so many of you lovely people have nominated me for the 2nd annual book blogger award and I have no words for how much that meant to me. I feel infinitely guilty for not putting up a nomination post myself and just want you to know that I really appreciate each and every one of you. Marta has once again made an excellent point as to why trigger warnings are important even if they don’t concern you personally (I have to do so much better on that front myself). Marie has hit home with yet another fantastic discussion post, this time about feeling validation as a blogger. So many people underestimate how helpful just a little recognition is, but how much it also matters to give yourself the credit you deserve. Avery finally posted one of my most anticipated features – What’s on the Box! As a TV fanatic, I encourage everyone to venture out into that area if it’s something you’re interested in. The Orang-Utan Librarian loved reading a book I recommended and I feel proud for spreading the love (and tears) that come with Words In Deep Blue. Hannah had me all jealous about her unboxings for Fairyloot and the Wizarding World box! Michelle is back home and I cannot believe how quickly time passed and how fortunate she was to have seen Love, Simon since it will take forever to come out in most of the other European countries. Beth talked about how there’s pressure for book bloggers to have all the new releases and asked us how we felt about it. That’s it from my side in terms of April! How was your month? What’s happening in May? Let’s talk! It seems April was good and I hope May is even better! To be honest I have missed you mentioning Arcadia but it seems so interesting! I will try to read it (hopefully this century – bookworm problems). To be honest I am not particularly kind to the characters of my setting, most of them have suffered much! 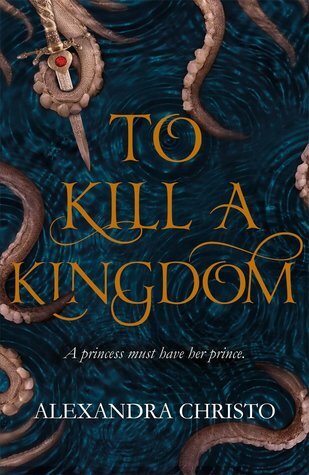 To Kill a Kingdom is on my TBR for May and I am EXCITED. It’s so great! I hope you have a good time reading it!! Fingers crossed for the competition ❤ I've liked the picture and followed you on Instagram as well! Thanks, Avery! It’s a really fun show, so I imagine getting to spend a day on set would be fun. But even if I don’t get first place, DVDs would be cool too. Yeeeeah, Famous in Love was a downer haha the show is still making me happy! Oh good luck for the contest Kat, your art looks amazing so I’ll be keeping my fingers tightly crossed for you. 🙂 Also I’m still a little behind on my Goodreads Reading Challenge for the year, so I hope you manage to catch up (I’m sure we both will, there are still plenty of months left to the year). I am happy enough with my reading last month haha how couldn’t I be? But I just wish I could have gotten in more. But I guess one book per week isn’t too bad either. 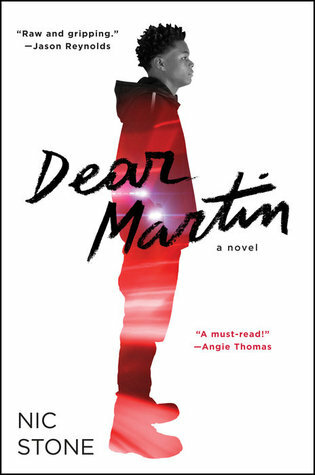 I hope you’ll get to read Dear Martin soon 🙂 It’s really impactful. You’re welcome ❤ have a great May as well! Good luck in the contest. I’m sending you all my lucky vibes. When will you find out the results of the contest? To Kill a Kingdom is on my to-read list now, especially since it’s at a bargain price on kindle haha. I can’t wait to get started. With the exception of Famous in Love, you’ve had a stellar reading month. Thanks, Lois! ❤ I'll definitely let you know about the results but I am not sure when exactly. The contest runs until May 8th, but I have no idea if they'll let people know right away or not. To Kill a Kingdom is so awesome! I hope you'll love reading it too. 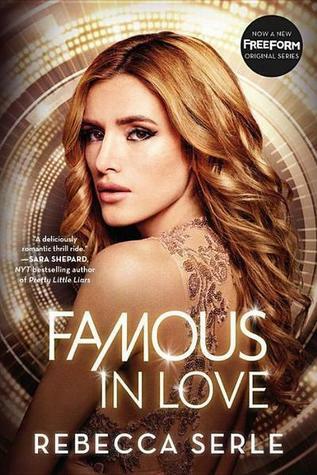 Also seems like you had a great reading month except for Famous in Love! I definitely need to pick up Dear Martin and To Kill a Kingdom at some point but,, money. One day soon though! Right!?!?! It’s like wooooosh, and another month is gone. I knoooow! Money is an issue with me as well. I was lucky enough to get to pick some books because I won a giveaway. I really hope I will win something in that contest. I know that some people had some really creative ideas, so I just hope what I did is enough. I definitely felt like April went by faster than the first three months of this year. We’re getting older. Time speeds up as we get older. That’s why time seems to go on forever when we’re children. My mum says that the last year and this year are unusually weird though. Ooooh I’ve wanted to read To Kill a Kingdom! Is it good? I’ve heard it’s kind of a Little Mermaid retelling? I’ve been looking for some of those to read this summer. It’s very good! Think sirens and pirates and strong kickass female characters!! Thanks for the tag, Heather! Thanks! I just saw some of the really creative things others did, so I am just hoping mine was enough! Best of luck with the contest, and well done finding a whole group of 5 star books! That always feels so nice. I really hope you get to read those books. I adored them! And thanks! I saw some really creative entries, so I doubt I’ll win, but it’s still fun to enter. Looks like you did well with books this month 🙂 And that sounds like a fun show- good luck! I like your painting as well! (I’m sorry I don’t have instagram!) And thank you again for spreading the love for Words in Deep Blue- I’m so glad I read that!! Great post! Yeah, for the most part reading was good 🙂 even though not as much as I would have liked it to be. It IS a really fun show. I always like con stories haha but the competition is super tough. There were so many creative entries. I doubt I will win, but entering was really fun. It makes me want to enter in more art-related contests. I think I might be the only person who didn’t read To Kill and Kingdom in April! I should get on that. Very nice wrap-up! I’m glad you enjoyed To Kill A Kingdom and Words in Deep Blue (both are quite high on my TBR as I’d been hearing terrific things about both of them) and ooh, Potato Pie Society is on my shelf right now! Haven’t read it, but my mom gave it to me. 😉 Great post! 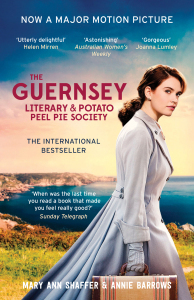 I think I am kind of known for recommending the same 5 books over and over and Words in Deep Blue is just one of them haha And as far as Potato Peel Pie Society goes, it was definitely different to what I usually read, but I really enjoyed it. I hope you will too!